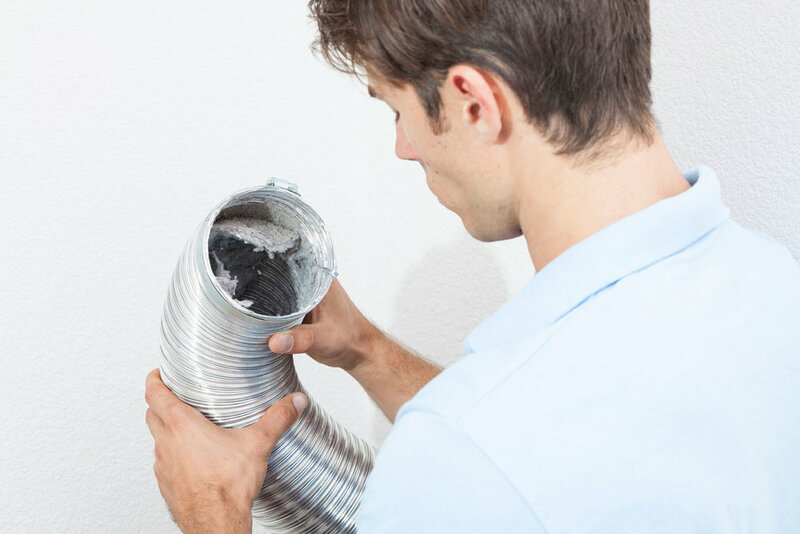 Just like with your air ducts, you can’t see inside your dryer vent! Using our video inspection camera, we are able to show you all of the dirt and lint that stays inside your dryer and vent once you have completed your laundry, even after clearing the lint trap. An unclean dryer vent can affect the performance of the dryer itself. Clothes will not dry as efficiently and may not be fresh or clean upon cycle completion. By cleaning your dryer vent, we can help ensure your clothes dryer is both clean and energy efficient! As a dryer is used, lint builds up in the dryer, in its transition duct and in its exhaust duct. This can reduce airflow and create dangerous situations, such as overheating and dryer inefficiencies. In some cases, it can even lead to fires. Lint is one of the most flammable substances in your home. With estimates of 15,500 US home fires being contributed to dirty dryer vents, it is more important than ever to get your dryer vent inspected and serviced. And fires are not the only concern! When moisture cannot escape the dryer vent, it will invite allergens, mold and bacteria build up as well. Regular cleaning of your dryers vent will ensure things run smoothly and efficiently, and most importantly, eliminate health and safety hazards. Over our many years of operation, we have mastered quality HVAC work. Our all star service is where we shine. We want our customers to enjoy their experience with us as well as with their new home comfort systems. If you're interested Learning more about Dryer Vent Cleaning, CALL US TODAY AT (360)734-9700 OR COMPLETE OUR ONLINE SERVICE REQUEST.